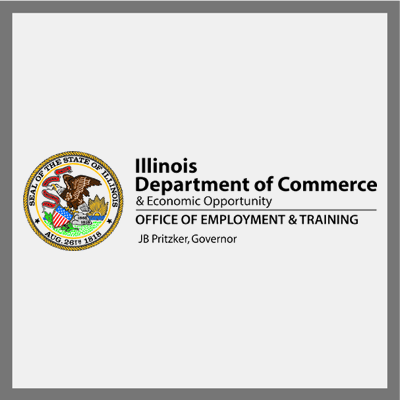 The Illinois Workforce Innovation Board announces the release of the 2018 Workforce Innovation and Opportunity Act (WIOA) Youth Career Pathways Notice of Funding Opportunity (NOFO). With an emphasis on the needs of young people who are not in school and not working, coined Opportunity Youth, this funding opportunity is intended to support effective career pathway practices distilled by the Illinois Workforce Innovation Board. These practices will have a positive impact on the careers of Illinois’ youth while creating a framework for long term, sustainable capacity building in delivery of those practices throughout the state. The final date for application submittal for this NOFO is May 1, 2018. Applications are to be submitted per the instructions in the NOFO. The Department of Commerce is interested in pilot projects delivered by regional partnership networks that address youth with workforce, education and economic development services, creating career pathways for youth while responding to the talent pipeline needs of businesses within regions. Applicants must incorporate the program criteria identified in the 2018 Youth Career Pathways NOFO, leveraging co-investment of public and private funds. A full range of approaches and strategies applicants may consider is described in the NOFO.